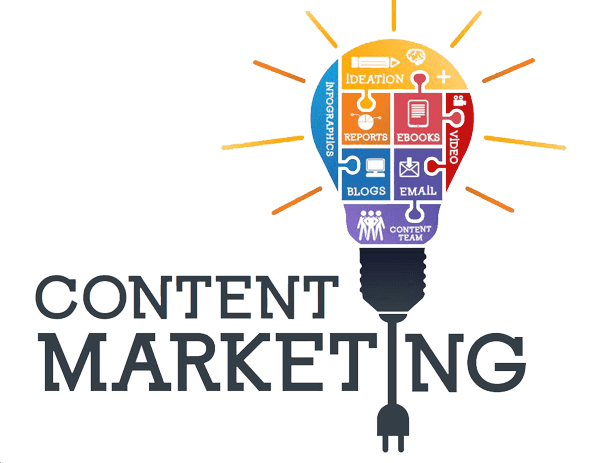 Planning to do a content marketing campaign but you are unsure about from where to start and how to lay its impact upon the readers? So, here is Jigsawseo that is presenting you with two blogs in the same niche with detailed analysis. Understanding Content Creation: Content is not only based on the collection of blogs, Tweets and other scattered content on web pages but it also has the involvement of various social connections, unique branding, and detailed quality content that will be added into the process of content creation and which will work together in order to achieve businesses’ goals. Why you create content? You create content because you need new ways to rejuvenate the buying process which has been fundamentally changed from former times. Creating content is a way to start conversations and engage with target customers. The content you will create will be found through search, a search will then generate traffic, traffic will bring new readers, readers will become your customers, and customers will help you to generate revenue. 1. Create that content that adds value to your business brand or at least maintains consistency with that of the brand image. It should aim at attracting the investors as well as the customers. 2. Stay well connected with your business objectives so that you can always project the theme of your business accurately without any doubts and double standards. 3. Be narrative in your writing style. You can leave an article pending and could publish the remains in the next article so as to gain the interests of your readers. 4. Opt for a writing style that could be understood by any individual. Don’t be too loud with your vocabulary. 5. Illustrate creative ideas, and don’t publish it until you don’t have anything good to say. 6. Expertise knowledge should be granted in each field that the business is working in. 7. You may start with a description of the problem that your company solves. With that, identify the people who actually face this problem and target them. 8. Who is your target audience? Why are they are struggling? Where they need your help? Focus on the same and design solutions for the same. 9. Don’t create something which doesn’t address a problem. Or, it doesn’t give the solutions to frequently asked questions. 10. Talk about new themes and issues that you would be aiming at. Always don’t brag about your products. 11. Publishing and marketing your content is not enough. You need to share a unique and creative perspective to the world so as to create an edge for your brand personality. 12. Before publishing any topic, have detailed research about it. You should know all the pros and cons about it and should be able to project the content at its best by projecting the pros and manipulating the cons. 13. Publish content after taking suggestions and points to be covered by various experts. This will help you to club up different points of view. This will allow you to reach and relate to as many people as possible. 14. Believe in retaining your customers and focus the content creation on the same. Because always remember that it costs less to retain a customer than it does to attract a new one. 15. Don’t concentrate on the volume of the content. Get your message right and clear. Be very strategic in what you have to do. 16. Talk to the customers who have purchased and used your product. Understand that what they considered the most valuable and what improvements they desire. Center your content regarding the same. 17. Find people who are expert in content writing. Sometimes, you need to know insights about how well a piece has been framed. 18. Give content writers the freedom to be creative. Let them take risks and to be practical, just hire an editor who will guide them upon the strategized framework. 19. Create some visual content that will complement and enhance your content. 20. Personal messaging and contacting your customers is another effective technique to outsource your content marketing.